We’re hiring for our new Ambler Yards location! Interested? Send us an application! We love making coffee for people. Come in, fuel up, and make yourself at home with one of our featured drinks , handcrafted by friendly baristas who know not to over-question the under-caffeinated. Our name is short for “caffeine,” but we’re more than a great cup of coffee. If you’re hungry, we’ve got a variety of baked goods, healthy snacks, and light bites to suit almost any dietary need. We’ve been making days brighter and coffee better since 2012, when our owner opened our doors and invited our community to be part her Brazilian family’s morning coffee tradition. In Brazil, coffee time is time to connect with family and friends in a welcoming space – that sense of connection is at the heart of ‘feine. We steep our special-recipe cold brew for 12 hours to get the smoothest flavor profile. Try it with a splash of half-and-half! Our signature drink is like a taste of the tropics. We start with a delicious combination of Dark Chocolate, coconut and add a double shot of espresso. We finish this drink off with your choice of milk to make this one tasty latte. Enjoy it hot or iced. 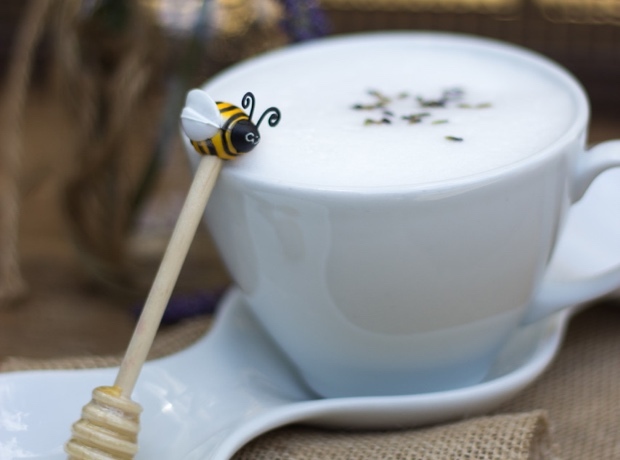 This unique flavor combination brings together real lavender buds, vanilla with our Brazil espresso. 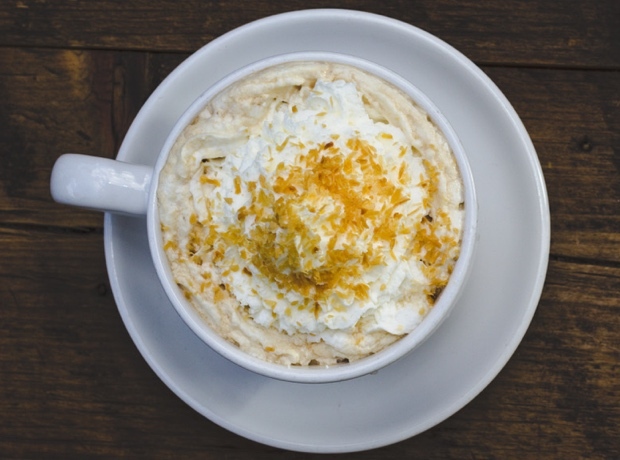 We add perfectly steamed milk and drizzle honey on top for a mouth watering treat. 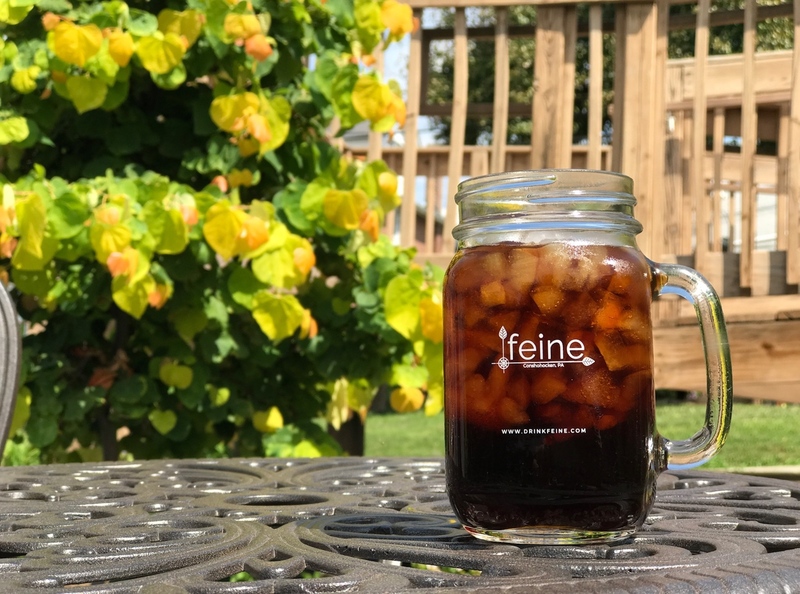 Copyright © 2019 ’feine Coffee. All Rights Reserved.